Overview: The Dazzler is back in action! (And a quick Google search confirms that those six words have never been used in that order before!) While still trying to make it as a singer, Dazzler finds herself constantly caught up in situations that require her to use her mutant powers. Whether battling the Sisterhood of Evil Mutants (Rogue, Mystique, and Destiny), fighting in an underground mutant gladiator arena in Los Angeles, or trashing the San Diego Comic Con, trouble just seems to find our title character. This title suffers from a rotating creator team, as writers and artists shuffle in and out for a few issues at a time. That makes it a challenge for the next team to come in and pick up the story where it left off. So after a moderately successful run as a New York City singer, we find Allison moving to California, where the singing takes a back seat to gigs as a model and as an actress. She dates a variety of characters, like Roman Nekobah (a Frank Sinatra wannabe), for several issues, before the next writer introduces their own character. First, Dazzler was one of the titles that participated in Assistant Editor’s Month. Dazzler took a side-trip to San Diego with Marvel editor Ralph Macchio and fought a mutant lizard. Yes, that happened. 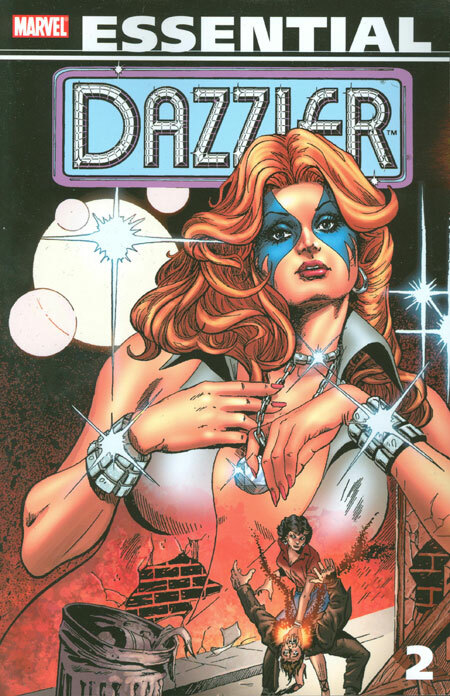 Dazzler was the feature star of a Marvel Graphic Novel. Dazzler: The Movie was to be Allison’s big break in the acting business. Instead, it just outed her to the world as a mutant. Dazzler teamed up with the Beast (who was leading the New Defenders at the time) for Beauty and the Beast, a four issue mini-series. Dazzler was recruited (and drugged) to participate in a mutant fight club, and it was up to Hank McCoy to help get her out. Issue #38 gave us a new direction for our heroine. Sporting a new uniform, courtesy of the X-Men (and their cameo appearances), and featuring a new creative team of Archie Goodwin and Paul Chadwick, Dazzler finds herself being chased (pun intended) down by the bounty hunter, O.Z. Chase. Dazzler does her best to be cooperative with Chase to clear out what she believes is a misunderstanding, only to find out it’s a group wanting to use her powers to energize their aging bodies. As if that was not crazy enough, there is a side story where Allison finds herself the center of the Beyonder’s romantic interest. Right or wrong (but I’m leaning towards right), Dazzler was finally canceled with issue #42. What makes this Essential? : What a change! I was very skeptical heading into Vol. 1. Let’s be honest, “Essential Dazzler” is one of the best oxymorons of all time. I’m not saying Vol. 1 is a great collection, but it turned out to be not as bad as I expected. (I think that’s a compliment.) So heading into Vol. 2, I had slightly higher expectations than before. And then I started reading. Oh my gosh, this was just…. not good. The stories were just all over the place. Lots of one-and-done stories, new supporting characters introduced every few issues; the most absurd romances for Allison; and way-too-many villains that were never used again. (Seriously, if the Scourge of the Underworld doesn’t bother to kill you, you know you are a lame villain.) Unless you are a completest like myself, I think you would be OK skipping this volume. Life After Death: Dazzler’s title came to an end with issue #42 (March 1986). But she was not off the stage for very long. Later that summer, she joined up (finally!) with the X-Men, as the Mutant Massacre story came to an end. The X-Men found themselves short-handed, with injuries to Nightcrawler, Kitty Pryde, and Colossus. So the team extends invites to Dazzler, Longshot, and Psylocke during this period. Dazzler would be a key member of the team for the remainder of the decade, before heading into the character limbo for most of the 1990s. Footnotes: Beauty and the Beast #1-4 is also reprinted in Essential Defenders Vol. 7. If you like this volume, try: Elektra: Assassin by Frank Miller and Bill Sienkiewicz from 1986-87. OK, I’ve laid out that this is not a collection of good stories. I don’t need to bang this drum anymore. But if there was one glimmer of light in this book, it would be the cover work by Bill Sienkiewicz. (And for those of you struggling with his name, it’s pronounced “sin-KEV-itch”.) Sienkiewicz rose in popularity in the late 1970s and early 1980s with work on Moon Knight and New Mutants. 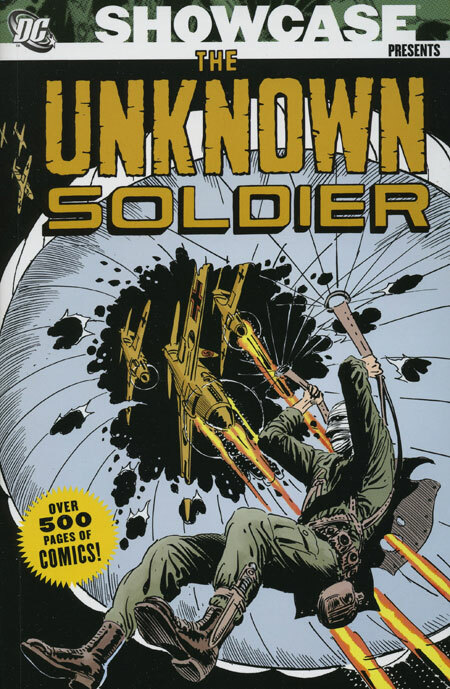 In the mid-1980s, the artist collaborated with artist-turned-writer Miller to create a direct-market mini-series released under Marvel’s Epic line. At this time, both men were at their creative peaks, and the collaboration produced an elegant and powerful story in the vein of the “Manchurian Candidate”,which takes place…. sometime. It’s been a debate whether this takes place chronologically before her first appearance in the pages of Daredevil, or sometime after her encounter with Bullseye. Regardless when it takes place, this is a must own series for any fan of Miller, Sienkiewicz, and/or Elektra. Sienkiewicz’s career has been filled with outstanding projects, but this title always ranks at the top of his comic book accomplishments. Overview: OK, this is the fourth volume in the Essential Hulk line. Do you still need a proper introduction? We all know by heart how Dr. Bruce Banner was exposed to gamma radiation, and as a result becomes a green monster known as the Hulk when he gets angry. I think we can skip the introduction and just get into the story. The Hulk is still on the run from the Army. General Ross reveals a new plan to battle our hero with the introduction of the Hulkbusters. Initially designed as aircraft that could attach the Hulk from a distance, the Hulkbusters would morph over time into a full military assault unit with a weapons cabinet that would make the Punisher giddy with excitement. At one point, the Hulk is finally captured, and is brought to trial for his numerous crimes against humanity. Of course, the Hulk keeps attorney Matt Murdock on retainer, so he is represented in court by the man without fear. The case does not go the Hulk’s way, and Mr. Fantastic finds a way to help the Hulk get out of the courts, even if he remains on the run. During this era (1972-73), the X-Men title was in reprint mode, so those characters were able to make appearances in other books. At one point, the Hulk encounters Havok and Polaris, as the Hulk is confused by the green hair of Lorna Dane and mistakes her for Jarella. Later on, the Hulk crosses paths with the Beast and Mimic. Sadly, one of those three does not walk away from the fight. Given that we still have three more Essential Hulk volumes to cover, and this is well before the Beast has joined the Avengers, the Defenders, and X-Factor, I think you can figure out the ending of that story. As if his life is not complicated enough, Bruce and the Hulk have conflicting issues with their girlfriends. Hulk wants to return to Jarella’s side in the sub-atomic world, while Bruce struggles to find a way to stay with Betty Ross. Unfortunately, during one of his periods where Bruce and the Hulk were off-Earth, Betty accepted a proposal and married Glenn Talbot. Later on after the Hulk’s return, the arch-fiend MODOK transforms Betty into the Harpy, the half-bird/half-woman character from Greek mythology. The last thing the Hulk needs is his best girl harping on him for all of his faults, whether it’s his anger control issues or his two-timing with Jarella. What makes this Essential? : I’m not for sure what to think of this volume. The stories are interesting, but I am not a fan of Herb Trimpe’s art during this era. His Hulk looks more brutish, but does not appear to be much larger than a normal man. Personally, I prefer my Hulk to be overwhelming in size and anger, and I do not get that Hulk in this volume. The new characters introduced in this volume stick around or make a bigger impact with other characters, such as Wendigo with Wolverine and Alpha Flight. This is a volume for a die-hard Hulk fan. As a casual Marvel fan, I don’t think this is essential to own. 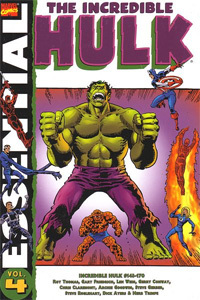 Footnotes: The back-up story from Incredible Hulk #147 is also reprinted in Essential Hulk Vol. 2. Incredible Hulk #161 is also reprinted in Essential Classic X-Men Vol. 3. If you like this volume, try: the Hulk Visionaries: John Byrne collection, which reprints Byrne’s brief run on Incredible Hulk in the mid-1980s. Flashback to 1985, as John Byrne was wrapping up his run on Alpha Flight. At that same time, Bill Mantlo and Mike Mignola were finishing up a year-long story in Incredible Hulk that had our hero jumping around in other dimensions. 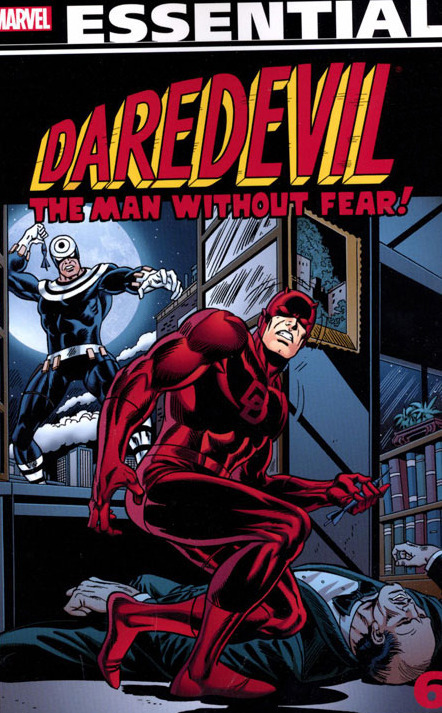 Marvel essentially traded the creative teams between the two books. Beginning in Incredible Hulk #314, Byrne takes control of the title, and the Hulk is back on Earth, hounded by General Ross and his Hulkbusters. Doc Samson has figured out a way to separate Bruce Banner from the Hulk, but it leaves the jade giant a mindless monster. Free of the Hulk, Bruce Banner and Betty Ross are finally able to be married. And suddenly, Byrne was off of the book, due to creative differences with then Marvel Editor-in-Chief Jim Shooter. This volume also collects two other Byrne Hulk stories from this era, an Incredible Hulk Annual #14 and a Hulk feature from Marvel Fanfare #29. This Hulk Visionaries was released in trade paperback in 2008, and should still be easily found. Overview: Living with her parents near Wundagore Mountain, young Jessica Drew becomes deathly ill from uranium poisoning. Jessica’s father injects her with an experimental serum based on irradiated spiders’ blood to save her life, but it puts her into suspended animation while her body heals. When she comes out of it as a young adult, she finds that she has powers similar to that of a spider – climbing walls, gliding on wind currents, and a venom blast. Recruited by Hydra, Jessica Drew takes on the name of Spider-Woman and is assigned a task to kill Nick Fury. So begins the adventures of Marvel’s newest superhero! Jessica eventually flips sides, and works for S.H.I.E.L.D. as a double agent, spying on Hydra. She gets involved in a convoluted adventure with the Thing in Marvel Two-In-One, which lead into Jessica getting her own title and returning back to the United States. Early on in the series, Spider-Woman battles an assortment of macabre characters, such as Magnus, Morgana le Fay, and the Brothers Grimm. She develops a friendship with actress Lindsey McCabe, who would become a long-time companion even after this title ended. She also opens an investigation agency with Scotty McDowell, who does the office work from his wheelchair while Jessica does the leg work on the streets. What makes this Essential? : My personal opinion is that this collection (and character) is a train wreck. “Spider-Woman” was created solely to protect Marvel from having an another comic book publisher creating a character with that name, by trying to sponge off of the Spider-Man property. (To protect other possible trademark infringement, other debuts in this era also include She-Hulk and Ms. Marvel.) 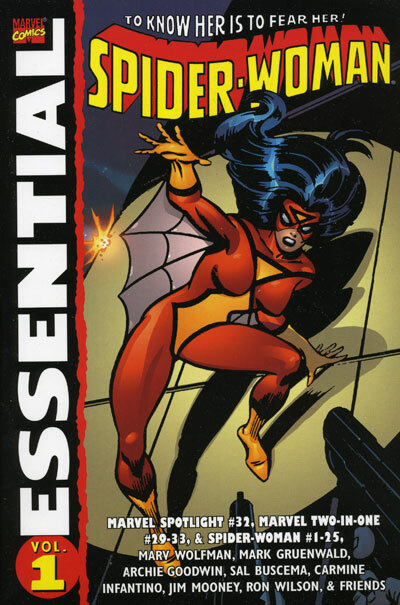 Originally, Spider-Woman was to be a spider that had been evolved into a human – thankfully that origin went away. Despite the namesake, writers Marv Wolfman and Mark Gruenwald avoided using Spider-Man in a cameo appearance, although he finally did show up in issue #20 towards the end of Gruenwald’s run. Even though she wore a costume, this title felt more like a horror or monster book, along with the lines of Werewolf By Night or Tomb of Dracula. Despite all of these handicaps, the Spider-Woman character has survived and flourished over the years, most notably under the direction of Brian Michael Bendis in the pages of New Avengers. If you are a big fan of Jessica Drew, consider getting this just to understand how far the character has come since she first debuted. Footnotes: Marvel Two-In-One #29 to #32 are also reprinted in Essential Marvel Two-in-One Vol. 2. 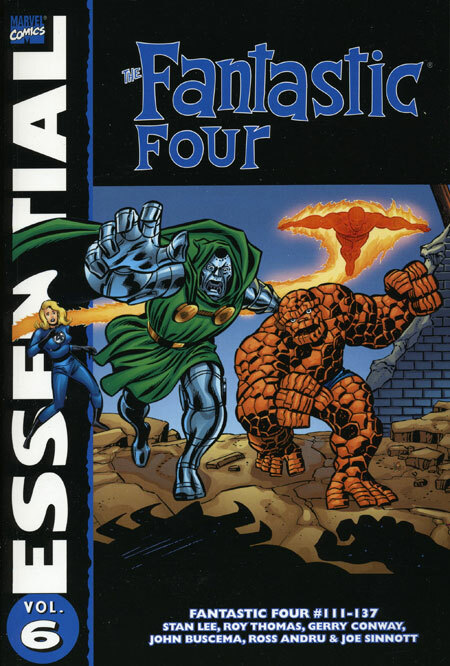 Marvel Two-In-One #33 is also reprinted in Essential Marvel Two-in-One Vol. 2 and Essential Marvel Horror Vol. 2. If you like this volume, try: reading the Alias series from Brian Michael Bendis and Michael Gaydos. Jessica Jones is a superhero turned private investigator. She went to high school with Peter Parker. As the superhero Jewel, she was once an Avenger. Now, life is just scraping by from one assignment to the next. Her circle of friends includes Luke Cage, Carol Danvers, and Jessica Drew. 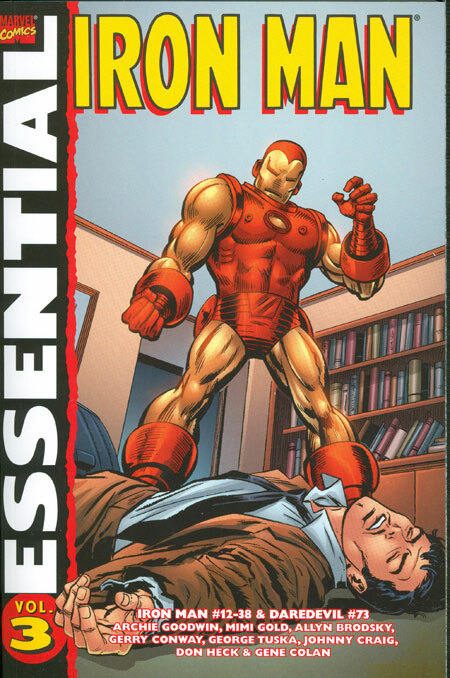 This series was part of the Marvel MAX line, which was designed to tell R-rated stories set within the Marvel Universe. The series ran for 28 issues and was replaced by the short-lived title The Pulse, which really was Alias without the MAX heading. Alias has been collected in multiple formats, including an Omnibus. Jessica Jones is one of the featured characters in the Marvel/Netflix deal, so catch up on Alias now.